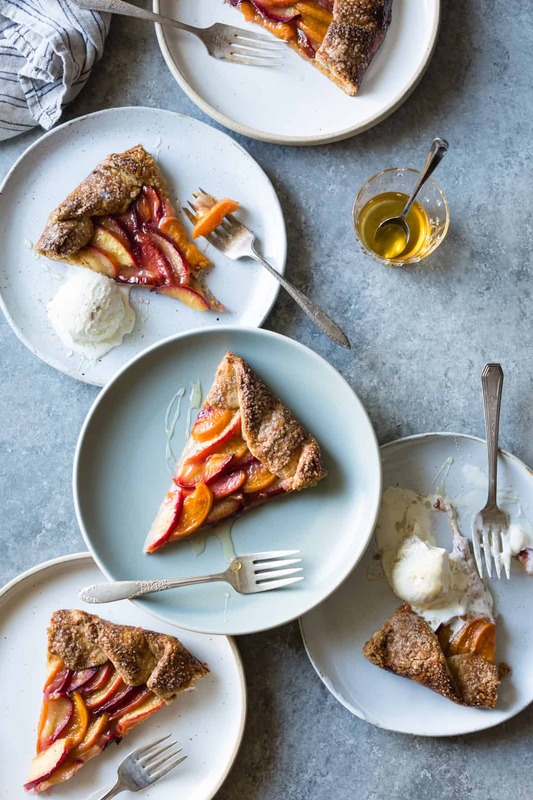 Apricots, plums, peaches, nectarines – whatever summer fruit you’ve got will love being nestled in a flaky gluten-free pie crust, softly spiced, drizzled with honey, and served up with drippy ice cream in this summery stone fruit galette. I’ve had such a blissful week of cooking and shooting at home, staycation style. Thanks to Karl the Fog, the SF “summer” weather has been perfect for holing up in the kitchen. And thanks to a visit at Imperfect Produce, I’ve had a ton of lovely fruits and vegetables to play with. There’s been cake, blondies, savory tarts, sweet tarts, salads, soup, and clafoutis. And perhaps best of all, there was this galette. For many years, Jay and I received CSA boxes from local farms. We loved supporting the farmers, and coming up with creative ways to use kohlrabi, potatoes, oranges, and cabbage in a dish was like a game. I reveled in days spent playing in the kitchen fitting together the produce puzzle pieces into a slew of delicious dishes. 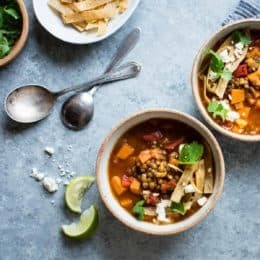 But when I started working with food full time a few years ago, and the need to make specific recipes each week grew, we had to let our beloved CSA go in favor of buying the exact produce needed. Last week’s Imperfect Produce puzzle plus time to play in the kitchen equalled a delicious little taste of bojon. I learned about the mission of Imperfect last year when my friend Aleks began working with them. Aiming to decrease the massive amount of food waste in the U.S., they buy up produce that farmers can’t sell and repurpose it in CSA boxes (nearly 13,000 per week!) and sell it at low cost to other organizations. Sometimes the produce isn’t profitable for farmers to sell to grocery stores because a tomato has grown into a wonky shape, a carrot has two legs, or an apple has a small bruise on it. 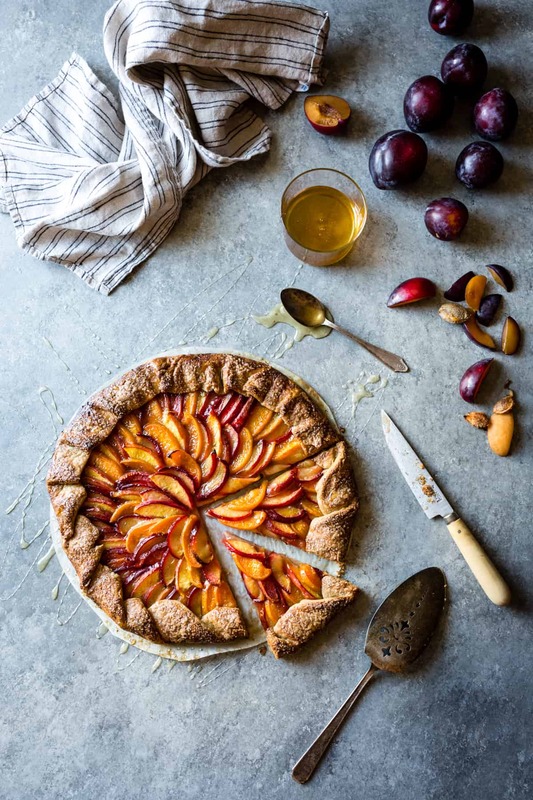 In other cases, such as the runty plums, oversized apricots, and rapidly ripening nectarines I used in this tart, the produce is simply bigger or smaller than the uniform fruits and vegetables stocked by grocers. What a land of excess we live in where a barrel of plums gets discarded for simply being smaller than the others. Imperfect Produce to the rescue! Aleks showed me around the new digs at Imperfect here in San Francisco, including a massive warehouse-sized walk-in refrigerator piled high with flats upon flats of fruits and veggies. We dug through the bounty and Aleks sent me away shivering and clutching a bulging box full of goodies. Romanesco, zucchini, and shiitake mushrooms became a thai-flavored noodle soup from The First Mess Cookbook, which I plan to share soon. I made a double batch of my flaky gluten-free pie dough and used half of it to turn a few giant heirloom tomatoes into a savory tart kissed with garlic oil, herbs, and cheeses, also coming soon. More tomatoes went into a watermelon, feta, and arugula salad dressed with lemon juice and plenty of good olive oil. Multi-hued potatoes the size of golf balls became smashed breakfast potatoes with eggs, salsa, and cilantro slaw for brunch. And this motley crew of stone fruit married the remaining pie dough to become a technicolored stone fruit galette. Cardamom and honey make a classic pair with any stone fruit, the dark spiciness of the cardamom playing off the sweet brightness of fruit, floral honey adding a topnote of flavor. The crust shatters and flakes, lending its warm taste of caramelized butter and whole grains to the mix. Pockets of cold butter and a bit of buttermilk make the dough extra flaky, and a few turns and folds in the style of puff pastry add extra layers and malleability to the dough. 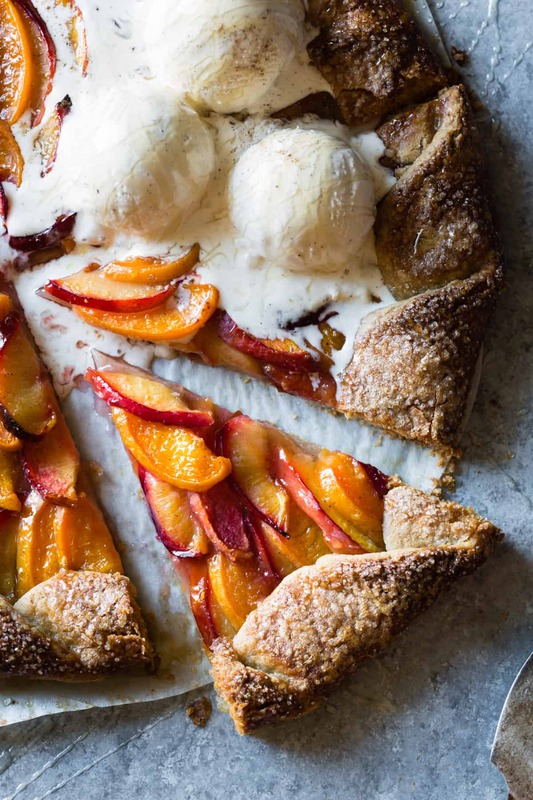 Feel free to make this stone fruit galette with whatever fruit you have on hand. Plums tend to be the most watery and tart of the bunch, so if using all plums, add a little extra sugar and cornstarch. I imagine ripe pears would make a delicious fall variation, too. All it takes is a little love, time, and patience, and even the most imperfect produce can become something beautiful. 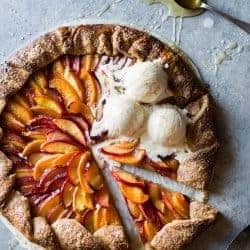 Use any combination of stone fruit you like here, and vary the amounts based on the size of your fruit – you’ll want about 4 cups once it’s all sliced up. 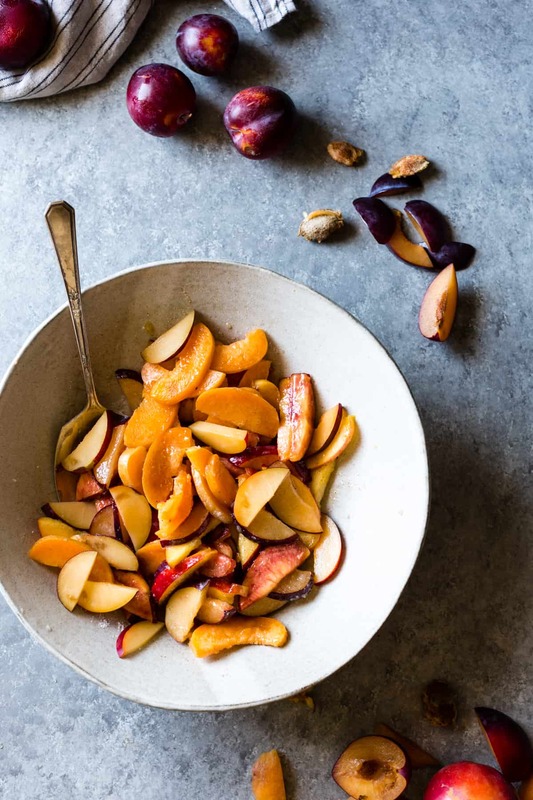 Plums, pluots, apriums, apricots, white or yellow nectarines or peaches – all work well here. 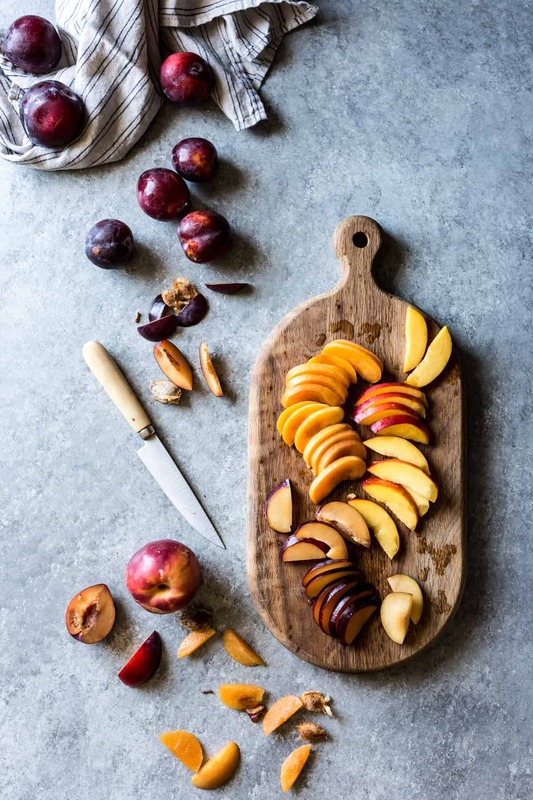 Dial the sugar up or down based on how sweet or tart your fruit is, and add a little extra cornstarch if using a larger quantity of plums or pluots, which have a higher water content. Be sure to give yourself time to make the dough, give it two turns, and let it chill; a few hours total, most of which is inactive. The dough can be made up to 3 days ahead and refrigerated airtight. 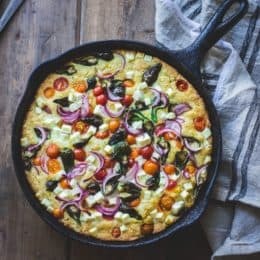 If gluten isn’t an issue, feel free to make this with your preferred pie dough; you’ll need enough for one single-crust 9-inch pie. Let the dough soften at room temperature if it’s very cold, 5 minutes or so, until malleable. Roll the dough between two large sheets of parchment paper, dusting it with oat flour and flipping the whole thing over as needed to prevent sticking, to make a 14-inch round that is roughly ¼-inch thick. If the dough cracks or tears, just squish it back together; it can take quite a lot of abuse. Trim the edges into a clean round, then slide the parchment and dough onto a large, unrimmed baking sheet and chill until firm, 30 minutes. Halve and pit the stone fruit (or cut the flesh off the core if they aren’t freestones) and slice thinly, about 1/8” thick. You should have about 4 cups of fruit. In a large bowl, stir together the 1/3 cup sugar, cornstarch, and cardamom. Gently toss in the fruit, lemon juice, and salt, until the fruit is coated evenly. 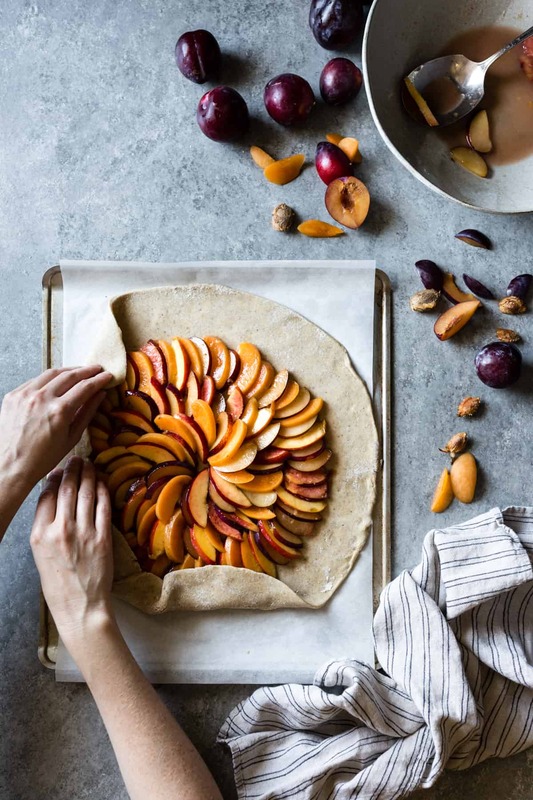 When the dough has chilled, remove from the refrigerator and, leaving a 2-inch overhang, place the fruit in concentric circles, starting with the outside and working in, overlapping the slices slightly. 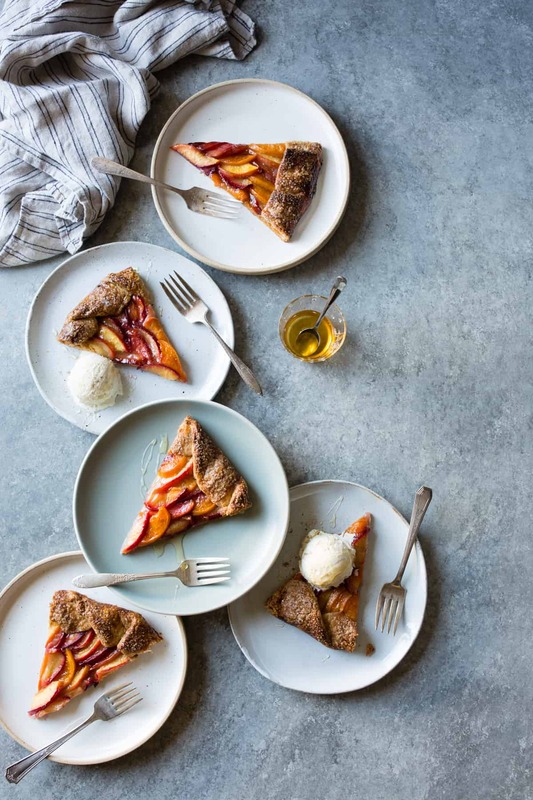 (If you’re pressed for time, you can just dump the fruit over the crust for a more rustic looking dessert – no judgement.) Fold the edge of the dough up over the fruit to form a crust, pleating it as you go. Brush the edge of the dough with the egg wash (or cream or milk) and sprinkle with the sugar. 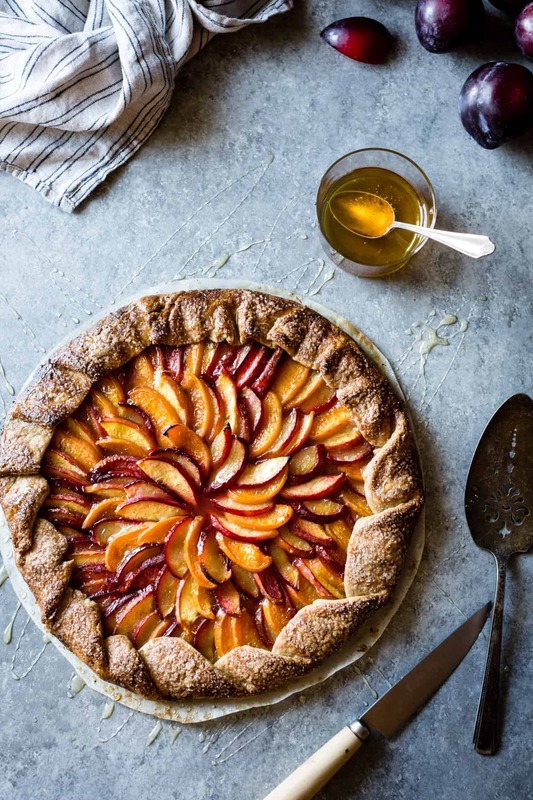 Bake the galette until the crust is golden and the fruit is bubbling, 35-45 minutes, rotating halfway through for even baking. Remove from the oven and let cool to warm, then drizzle all over with honey. 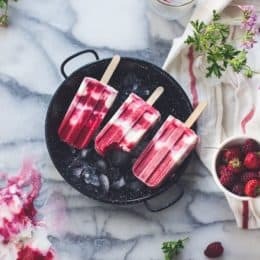 Cut into wedges and serve warm or at room temperature with ice cream. 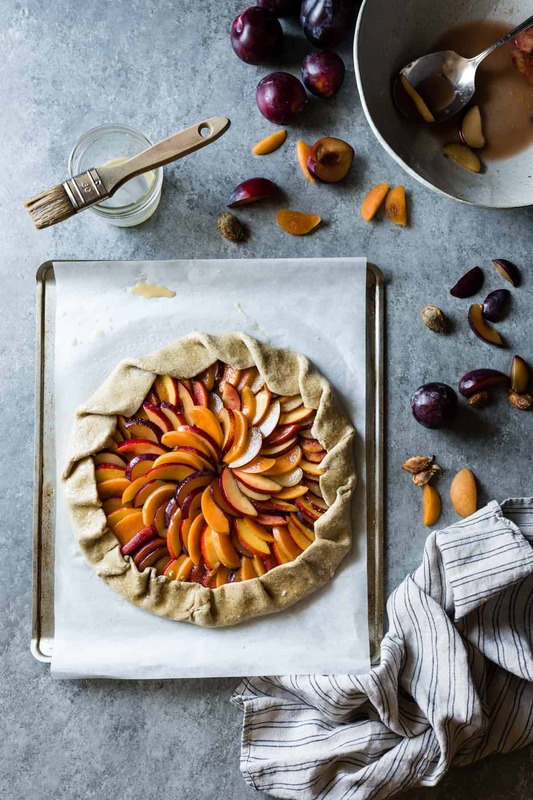 The galette is best the day of baking while the crust is crisp, but extras will keep, refrigerated airtight, for up to 3 days. 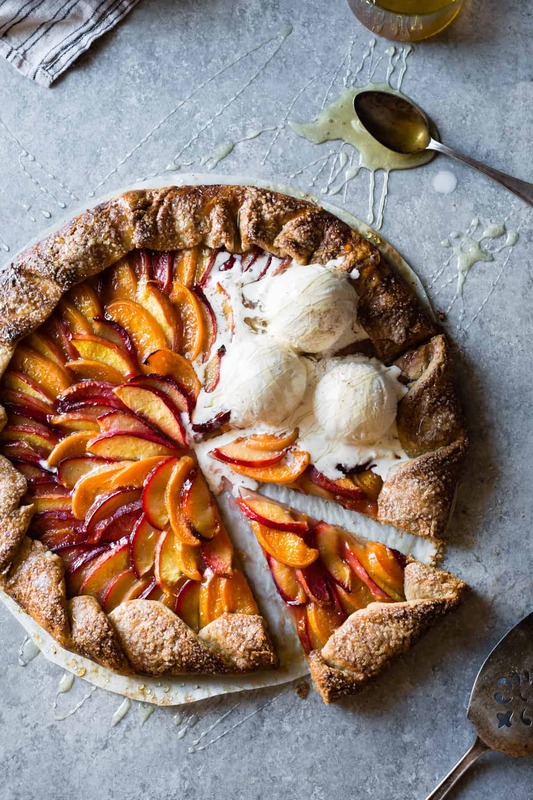 I think this is the prettiest galette I’ve seen. Mine are usually much more “rustic” around the edges! I’m so glad that organizations like Imperfect exist because it’s so crazy to me that the size or shape of produce could render it inappropriate for sale – your tart is a great example of how these fruits are still absolutely perfect. Ah, thank you Lili – the feeling is very mutual! So gorgeous, Alanna! 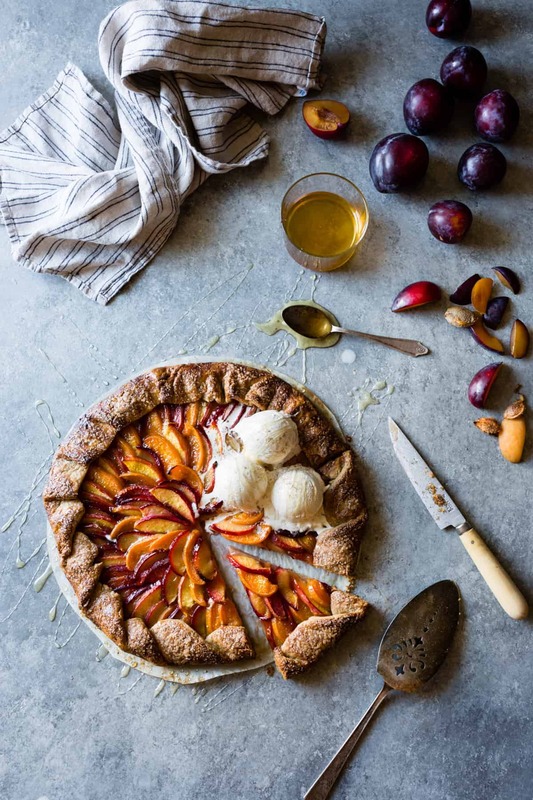 Honey + cardamom are a dream with stone fruit! You describe exactly the reason we gave up our CSA. Sad, but I just to shop the farmers market for what I need that week. I absolutely love the Imperfect Produce mission! Give those plants with irregularities a little love. Or a lot of love, as in the case of this beautiful galette! this is so beautiful that I want to make it as a sculpture! Love that this is a gallete, don’t need the heavy and full-crust pie version, just give me the fruit, thank you for this wonderful recipe! I just wanted to let you know that I made this today (with store bought pie crust — Mi dispiace!). It is DIVINE. Thank you for sharing such a wonderful recipe. The cardamom and honey combo is ace. Aw, thanks for giving the recipe a try – no shame in using store bought dough! So glad you enjoyed it.